With the rise in hackers and data breaches sweeping throughout companies and the government, there’s a greater need to keep personal and top-secret information safe from cyberattacks. That’s where information security analysts enter the picture. Information security analysts are responsible for protecting the computer networks of a company or government agency. While their behind-the-scenes work often goes unnoticed, public awareness about cybersecurity threats and efforts to protect sensitive information have spiked since classified documents were leaked from the National Security Agency and a slew of security breaches at high-profile retailers and institutions have plagued consumers. Information security analysts must stay one step ahead of cyberattackers. Someone in an entry-level position may operate software to monitor and analyze information, while a more senior-level position could require investigative work to determine whether a security breach has occurred. David Brumley, an assistant professor in Carnegie Mellon University’s Department of Electrical and Computer Engineering, says security analysts focus on three main areas: risk assessment (identifying problems an organization might face), vulnerability assessment (determining an organization’s weaknesses) and defense planning (installing protections, such as firewalls and data encryption programs). People who want to work in this field need strong problem-solving and analytical skills and an understanding of computer systems. Some information security analysts must be familiar with security regulations and standards. Chris Liu, a technical security consultant for the Wisconsin Department of Natural Resources, points to the analysts who responded to Target’s data breach in November 2013 – when credit and debit card information of roughly 70 million shoppers was compromised. Those analysts had to know the Payment Card Industry Data Security Standard, which provides a guideline for the prevention and detection of credit card security incidents. Organizations are increasingly looking for ways to protect data and information, which means there’s a high demand for information security analysts. The Bureau of Labor Statistics projects 36.5 percent employment growth for this profession by 2022. This field has the fastest growth rate when compared with the rest of the technology jobs on our list. The BLS estimates 27,400 new jobs will need to be filled in the industry. 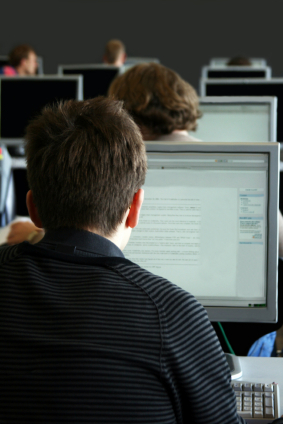 Information security analysts earned a median annual salary of $88,590 in 2013, according to the BLS. The best-paid 10 percent made $138,780, while the lowest-paid took home $50,430. The information security analysts that are compensated the best work in the securities and commodity contracts intermediation and brokerage industry. And the metropolitan areas that pay the best include Sacramento, California; Norwich, Connecticut; and New York City. 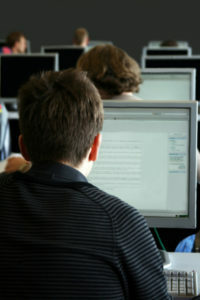 Many information security analysts earn a bachelor’s degree in computer science, programming or engineering. Some employers seek applicants with a Master of Business Administration in information systems. There is also a range of certifications offered by for-profit organizations like InfoSec Institute. After gaining some experience in the field, Liu says many analysts obtain a CompTIA Security+ certification, which includes training in network security, threats and vulnerabilities and cryptography.